A beautiful book about the human capacity to give heart and soul to work for nonviolent change in the hardest circumstances. 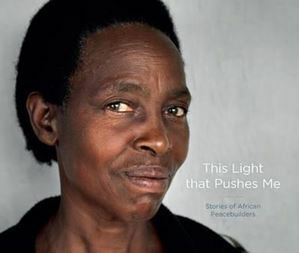 This Light that Pushes Me features peacebuilders from nine sub-Saharan African countries. All are Quakers or involved in Quaker work and all have experienced some form of violence. Using photographs and personal testimonies, this book traces the journeys that have transformed suffering into a force for social change.